In the second match of a doubleheader on Saturday in Super Smash 2018-19, the defending champions, Northern Knights take on the Auckland Aces in what promises to be a mouth-watering clash at the Eden Park in Auckland. Northern Knights have been dismissive with only one loss in their eight matches so far inspite of losing Anton Devcich Midway through the season. While it has all been bright for the Knights, Auckland are currently in second place behind their opponents with a win over them guaranteeing a spot in the top three. With the likes of Mitchell McClenaghan, Glenn Phillips and Mark Chapman all in good form, it would be a tough task for the Northern Knights, who would want to seal their top place finish with a win over the Aces. With plenty to play for in the match, both teams are expected to be at their best for the duration of forty overs in what should be a very high-scoring match. Colin Munro, Daniel Bell-Drummond, Glenn Phillips(WK), Craig Cachopa, Mark Chapman, Robbie O'Donnell, Greame Beghin, Donovan Grobbelaar, Will Somerville, Mitch McClenaghan, Ronnie Hira and Matt Quinn. Tim Siefert(WK), Nick Kelly, Dean Brownlie(C), Brett Hampton, Daryl Mitchell, Corey Anderson, Daniel Flynn, Kyle Abbott, Scott Kuggeleijn, Ish Sodhi, Neil Wagner and Tarun Nethula. The Aces welcome Colin Munro back to the squad for this crucial match to determine the home finalist of the Super Smash 2018-19. The batting unit is filled with exciting talent such as Mark Chapman and Glenn Phillips, who has yet to fire with only 150 runs to his name so far. The bowling has been very good of late with Mitch McClenaghan picking twelve wickets in just six games. Donovan Grobbelaar should make way for Munro, whose medium pace would come in handy at Eden Park. Possible XI: Munro, Bell-Drummond, Phillips(WK), Chapman, Cachopa (C), O'Donnell, Beghin, Somerville, McClenaghan, Hira and Quinn. The Knights have been the best team in the competition by a mile with seven wins out of a possible eight to showcase for all their depth. Inspite of losing Anton Devcich, Mitch Santner and Chris Jordan midway through the season and not able to call upon the likes of Tim Southee, Kane Williamson and Trent Boult has not halted their charge for another Super Smash title. Ish Sodhi returns to the side which gives another dilemma of whom to drop. Nethula picked six wickets in the previous game while Wagner has also been in good form although it should be the burly pacer who should do so. Daryl Mitchell has been very impressive this season and has been rewarded aptly with a place in the national side. Possible XI: Siefert(WK), Kelly, Brownlie(C), Mitchell, Hampton, Corey, Flynn, Kuggeleijn, Abbott, Sodhi and Nethula. Wicket-keeper: Both Glenn Phillips and Tim Siefert are explosive at the top of the order and with their ability to go big in the powerplay well known, there's no limit to their unlimited potential. Both of them are good picks to have in your side. Batsmen: Daryl Mitchell has been brilliant with both bat and ball this season and alongside the likes of Mark Chapman and Daniel Bell-Drummond, he is a very useful selection. Either of Cachopa or Brownlie could also be a clever choice. All-rounders: Colin Munro is a certainty in all fantasy sides. The last time he turned out in the Aces side, he blew away the opposition courtesy of a brilliant all-round show. Brett Hampton is also a useful option to have alongside Munro. Bowlers: With a number of quality bowlers on offer, Kyle Abbott and Mitch McClenaghan are the ones that stand out with their international experience and ability to nail the yorkers at the death. Ish Sodhi would also be a very useful pick while Quinn and Kuggeleijn are also firmly in the reckoning. Captain: Colin Munro has had a hard time during the India series which has seen him ousted from the eleven itself. But in the T-20 format, he is a different player all together which makes him the ideal choice for captain along with Daryl Mitchell. 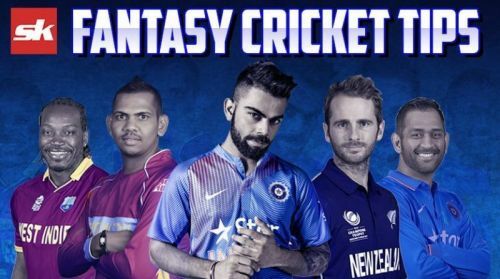 Fantasy Suggestion #1: Glenn Phillips (WK), Corey Anderson, Daryl Mitchell, Mark Chapman, Daniel Bell-Drummond, Colin Munro, Brett Hampton, Kyle Abbott, Ish Sodhi, Scott Kuggeleijn and Mitch McClenaghan. Captain: Colin Munro.